Data from the biggest cities in the United States suggest that cities with higher median household income report fewer homeless shelter beds. The San Jose/Santa Clara County area bottoms the chart with the highest median income and the fewest number of shelter beds per homeless person. One might conjecture that wealthier towns have more homeless people, since homeless people flock to wealthy cities rich in services. However, that’s not actually the case. 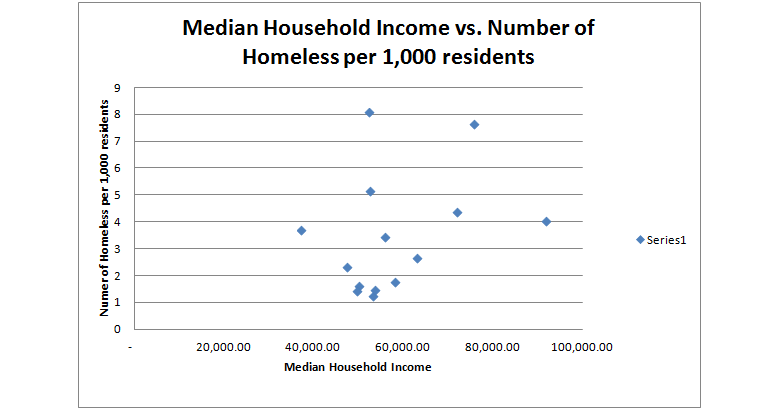 There is no correlation between median income and the number of homeless persons in U.S. big cities. 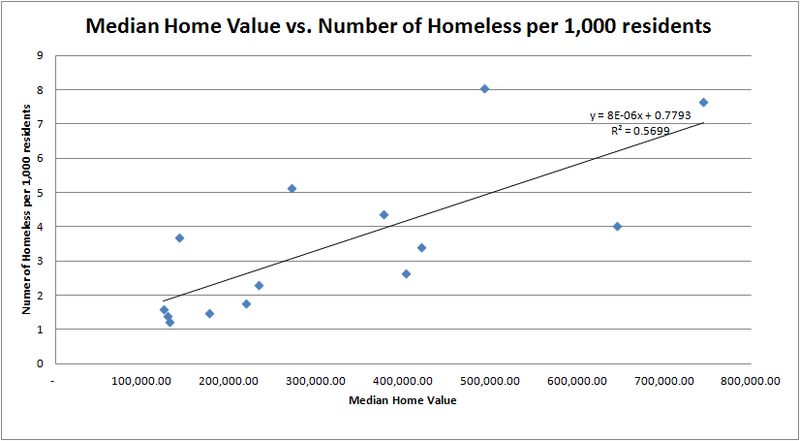 There is, however, a correlation between the number of homeless persons and the median home value. Cities with higher median home values tend to have more homeless persons. Angela Bymaster is a family medicine physician who has worked primarily with homeless patients in San Jose for the past 5 years. Dr. Bymaster graduated with an M.D. from the University of Iowa Carver College of Medicine and completed her Family Medicine residency at O'Connor Hospital in San Jose, CA. Dr. Bymaster has an additional board certification in Addiction Medicine. 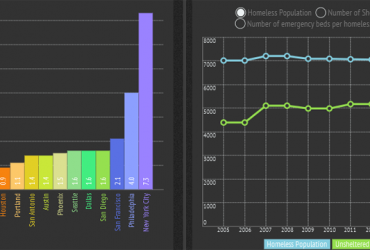 AB109: Why isn’t the Santa Clara County homeless population decreasing?